The Royal Borough of Greenwich will see the next phase of last mile autonomous transport take place using the GATEway driverless pods. 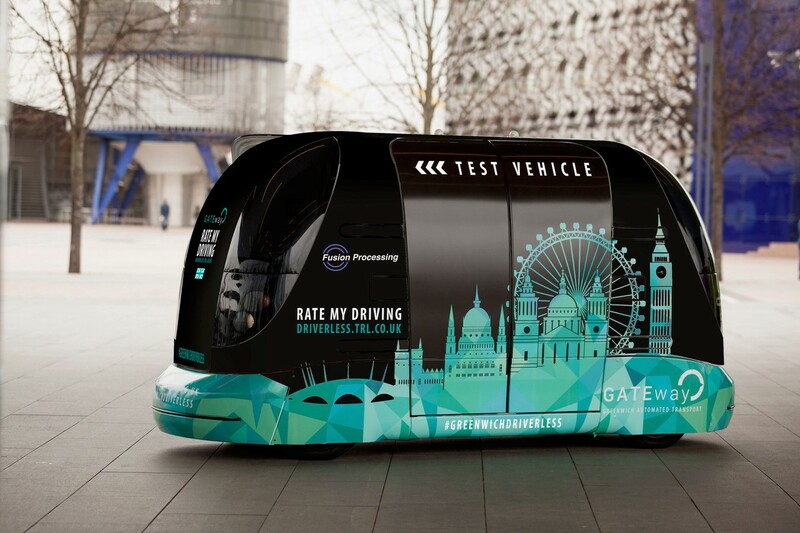 The GATEway project is soon to launch its open public trial of driverless pods. These autonomous pods will provide first and last mile transportation around the Greenwich peninsula by connecting important transport hubs with business, leisure and residential locations. For the next phase, commencing in the Autumn, Fusion Processing will provide sensing and control equipment on the brand new pods that are being built by Westfield Sportscars. The pods are based on the original Heathrow Airport platform pod design and have been updated for use in first and last mile transport operational environments. In April this year, the GATEway project provided over a hundred members of the public an opportunity to ride in the first prototype driverless pod in Greenwich powered by Oxbotica’s Selenium autonomous control system. In the next phase of the project, using Fusion Processing’s autonomy system, the GATEway project intends to transport hundreds more people with a fleet of new Westfield pods based at the UK Smart Mobility Living Lab in the Royal Borough of Greenwich. This trial is one of a number of automated vehicle tests within the GATEway project investigating public acceptance of automated vehicles within the urban mobility landscape. Other trials in the project include last-mile automated deliveries (tested in June 2017) and autonomous valet parking (due to be tested later in 2017). GATEway is jointly funded by government and industry. The government’s £100m Intelligent Mobility fund is administered by the Centre for Connected and Autonomous Vehicles (CCAV) and delivered by the UK’s innovation agency, Innovate UK.